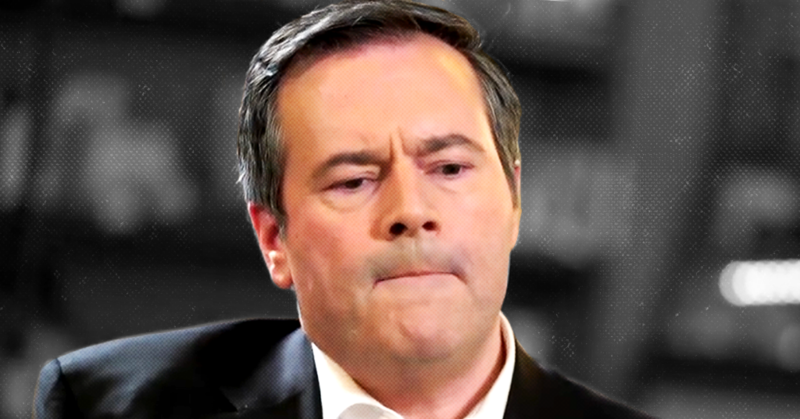 Marshall, a founder of Rebel Media and federal Conservative leader Andrew Scheer’s 2019 campaign chair, even raised the possibility of taking the UCP to court over the party’s online voting system and loose rules on signing up new members. They “threatened to sue the Party if they didn’t get their way,” Jason Kenney’s deputy chief of staff Matt Wolf recalled in another leaked e-mail. Marshall would not confirm sending the e-mail, suggesting he had “no clue” what PressProgress was talking about, before declining comment altogether. But multiple UCP sources who personally received copies of the e-mail confirmed to PressProgress Marshall did, in fact, author the e-mail dated August 26, 2017. 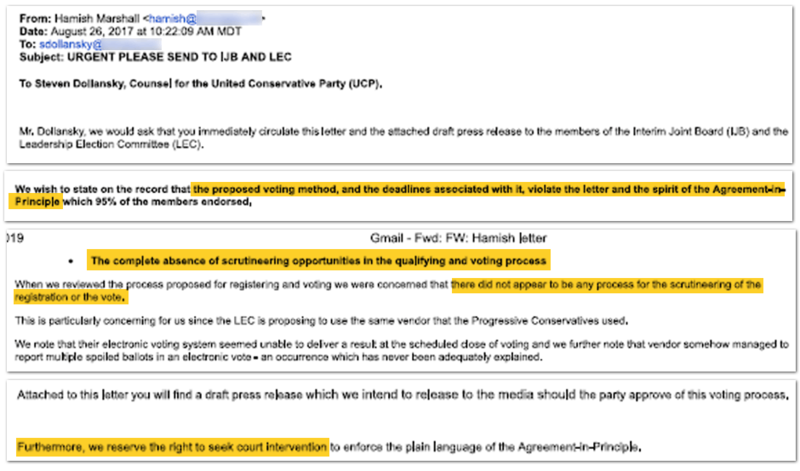 In the leaked e-mail, Marshall complains about last-minute rule changes that he argued violated the United Conservative Party’s founding agreement. “We wish to state on the record that the proposed voting method … violates the letter and the spirit of the Agreement-in-Principle which 95% of the members endorsed,” Marshall wrote. “When we reviewed the process proposed for registering and voting we were concerned that there did not appear to be any process for the scrutineering of the registration or the vote. Marshall’s e-mail may be viewed with new significance in light of reporting from PressProgress Tuesday evening that revealed RCMP investigators are actively questioning participants in the 2017 UCP leadership vote. 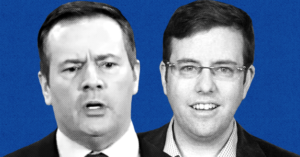 A campaign worker on the Jason Kenney leadership campaign told PressProgress he was asked detailed questions by RCMP investigators about how membership data was collected and inputted into the party’s internal database. On Wednesday, CBC News reported it had identified dozens of “fraudulent e-mails” that were successfully used to cast votes during the 2017 UCP leadership vote. Correction: This story has been updated to correct the dates of two news articles which were cited in this report.